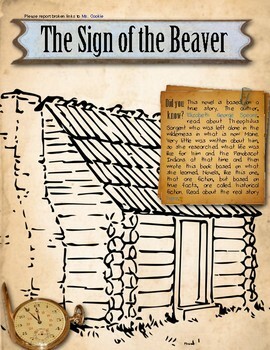 This HyperDoc is designed for use with a computer or tablet while reading Sign of the Beaver. Knowing every minute is precious, I incorporated as many subjects as possible and to keep students engaged there are links to text, audio, video, and images. This project includes: figurative language, character development, animal science, the French and Indian Wars, Native American lifestyle and treatment, the Proclamation of 1763, calculating distance and time traveled, and much more. There are more than 35 links included! This is all enveloped in questions requiring critical thinking and analysis from multiple sources of media—all in alignment with Common Core. 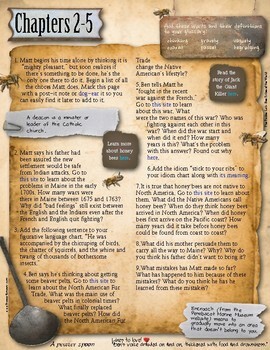 This project can be done as a class, small group, or individually. You can assign all of it or part. Image links and “extras” on most pages are perfect for early finishers to explore. Homeschoolers love my book projects! 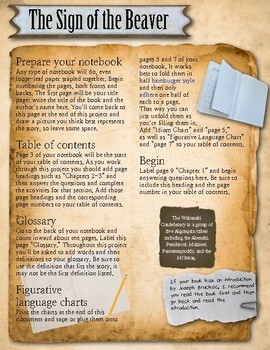 As this is self-contained and highly engaging, it is ideal for students who read at different rates. You can be assured advanced readers won’t miss the context or historical significance as they read ahead.